Jeff Ciuffreda says the ‘affiliated’ model for chambers is outdated, and the regional concept being proposed is more efficient. The Affiliated Chambers of Commerce of Greater Springfield and the Springfield Chamber of Commerce will soon merge into an entity to be known as the Springfield Regional Chamber. The reorganization plan is to designed to reduce confusion and bureaucracy, and chamber administrators believe it will ultimately create a more efficient, and more powerful, regional entity. As he talked about what amounts to a long-discussed — and in many ways long-overdue — reorganization plan and renaming of the Affiliated Chambers of Commerce of Greater Springfield (ACCGS), Jeff Ciuffreda, president of that organization, used several methods to explain why this move was deemed necessary. Easily the most effective came as he recounted a meeting of the Springfield Chamber of Commerce’s board of directors last year, and, more specifically, a discussion of that entity’s finances. To bring an end to this confusion and put in place what Ciuffreda believes is a more efficient and sustainable model of chamber organization and management, the ACCGS and the Springfield Chamber will be effectively merged into something called the Springfield Regional Chamber of Commerce. 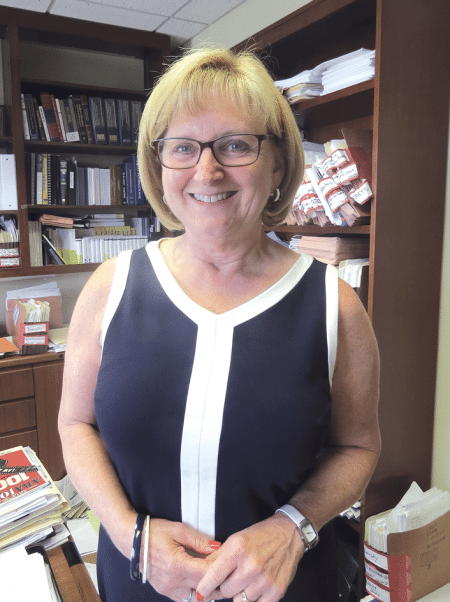 A formal vote on the proposal involving members of those chambers has been slated for Aug. 24, and Ciuffreda is confident of passage for several reasons, but especially his belief that the merger makes sense — on several levels. Overall, it will eliminate unneeded layers of bureaucracy and create a more efficient chamber, with more resources flowing directly to member services, all while maintaining and also enhancing a regional emphasis, while maintaining a focus on the region’s business, civic, and cultural hub. “In the old, affiliated model, you had separate boards with separate bylaws, with all the powers, if you will, that they had to set rates and act on their own,” Ciuffreda explained. “Now, you’ll have one board that’s centered on Springfield but focused on the entire region; there will be one board, one set of bylaws. 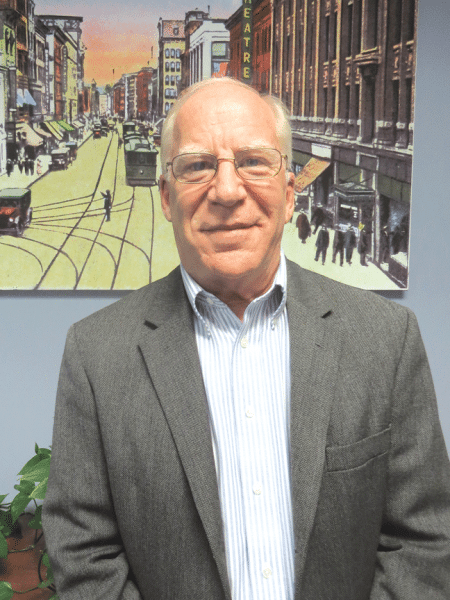 The reorganization amounts to an acknowledgement that the ‘affiliate’ model of chamber organization, popular decades ago, and in place in Greater Springfield since the mid-’90s, has essentially run its course, said Ciuffreda. Within that model, he noted, the umbrella organization acts unofficially, and even officially, as a management company, taking a large percentage of dues paid by the members of affiliates in exchange for providing a variety of services. In this different, regional format, dues — the entire amount — are paid directly to the chamber in question, said Ciuffreda, adding that this puts more money to work for members. Meanwhile, the two words in the new name are both important. Indeed, Springfield, the area’s largest city and business hub, will be a focal point of its events and involvement with business-related issues (as it is now with the ACCGS), but there will be regional emphasis as well. And that term works better, he believes, than ‘Greater,’ which has ben attached to most area cities’ chambers, and even Franklin County’s. Ellen Freyman says the reorganization plan will reduce confusion — and several unneeded layers of bureaucracy. The board of the other ACCGS affiliate, the East of the River Five Town Chamber of Commerce (ERC5), composed of businesses primarily in East Longmeadow, Longmeadow, Hampden, Wilbraham, and Ludlow, has voted not to merge into this new regional chamber, said Ciuffreda, adding that it will become a separate entity, and members will no longer have access to the full benefits and services offered through the new Springfield Regional Chamber. However, under an existing service agreement, ERC5 members in good standing can continue to receive services, but only through their current membership term. For this issue, BusinessWest looks at the chamber’s reorganization plan and what it means for the region and its business community. 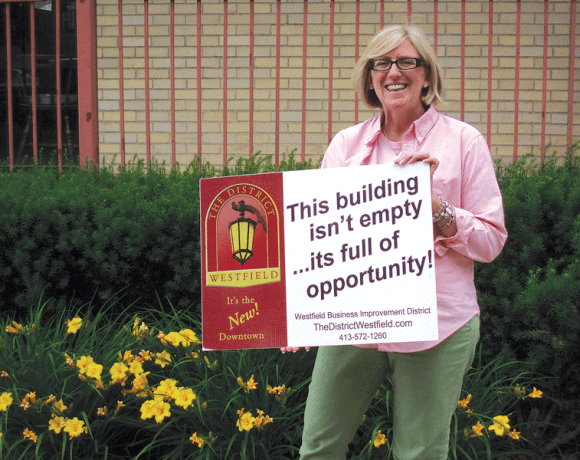 Ciuffreda told BusinessWest that discussions concerning a reorganization have been ongoing for several years now. They picked up in intensity in the spring of 2013 as part of an elaborate strategic planning process — undertaken with the assistance of a facilitator — that was designed to create a blueprint for the next several years. That planning process examined the current state of organization and prospects for the future, while also researching and benchmarking other models, said Ellen Freyman, chairman of the ACCGS board of directors since last year. Freyman would eventually appoint a committee to more closely examine the structure of the ACCGS, explore options, and ultimately make a recommendation for the best course moving forward. “We looked at best practices, talked to the leaders of several chambers, and came up with a regional chamber concept that would essentially have one chamber serving many communities,” said Ciuffreda, adding that the committee completed its work and submitted its recommendation roughly four months ago, based on a model adopted by the chamber in Jacksonville, Fla., among others. “This structure,” he added, “would result in a clearer and strengthened vision, provide for stronger collaborations, better reflect the regional thinking of the membership, and enable the chamber to grow so that its members could as well. The vote to reorganize continues a pattern of evolution concerning the chamber of commerce landscape over the past few decades, said Ciuffreda, adding that, only a few years ago, most area communities had their own chambers, which provided both a source of pride and identity. Only a decade ago, Agawam had its own chamber, he explained, as did West Springfield and Ludlow. Hampden and Wilbraham shared a chamber, as did Longmeadow and East Longmeadow. Each of these entities existed as an affiliate of the ACCGS, while chambers in other communities, such as Chicopee and Holyoke, considered becoming affiliates but ultimately chose not to. Westfield became an affiliate for several years, but eventually went back to being a separate entity and remains one today. A number of factors, from operating costs to declining membership in chambers nationally, resulted in consolidation and formation of the West of the River (Agawam and West Springfield) and East of the River Chambers, Ciuffreda went on, noting that the former severed its ties with the ACCGS in 2011 and became a separate entity. Many of those same factors — especially cost and bureaucracy — played roles in the planned reorganization to the Springfield Regional Chamber, he said, adding, again, that the new structure should enable more resources (in the form of membership fees) to be channeled directly into member services. He used the example of a company paying fees to the current Springfield Chamber of Commerce as an example. “The ACCGS is really the management corporation; all the services are provided for by the ACCGS, and it had all the expenses,” he explained. “But some of your dues would always go back to the Springfield chamber. Beyond the financial shortcomings of the affiliated structure, there was also considerable confusion — as evidenced by that Springfield Chamber board meeting referenced above — concerning the various entities, their roles, their finances, and more, said Freyman. While some things will change with the reorganization, said Ciuffreda, most things won’t. For starters, membership in the new regional chamber will approximate the size of the current Springfield Chamber, which has roughly 525 members, he said, adding quickly that he anticipates this number will grow. And it will mirror the current demographic breakdown of that organization, he went on, adding that eight to 10 zip codes are currently represented by the membership. Most importantly, though, the chamber will still be a regional entity, he said, adding that it works with elected officials in communities that have their own chambers, and takes a regional approach to matters ranging from the I-91 reconstruction project to casinos to advocacy on behalf of military bases such as Westover Air Reserve Base and the Air National Guard Base at Barnes Municipal Airport. But it will have more power to operate effectively on a regional basis because the new structure provides it with that authority, Cuiffreda noted, adding that, in the current structure, more power lies with the affiliate members. The Springfield Regional Chamber will also continue to collaborate with other area chambers on a host of initiatives, including efforts to promote and inform area businesses, he said, adding that the new model will also make it easier to partner with other business-related groups, such as Northampton Area Young Professionals, because of its more regional focus and reach. Ciuffreda told BusinessWest that, while the single-chamber theory of the universe, or at least Greater Springfield, has long made a good deal of sense, efforts to make such a change have been challenged by fears that those in some communities would feel left out or overlooked if they were in a chamber with the name ‘Springfield’ in front of it. Thus, the affiliated structure lived on, despite its shortcomings and layers of bureaucracy. But he believes the times, and the conditions, are right for a much-needed change. Time will obviously tell if this was the right move, but Ciuffreda is confident that the new organizational structure will be a win-win for all those involved.